A straight can blend seamlessly into your home, and the smooth start and stop mechanism allows you to glide effortlessly up and down the stairs. 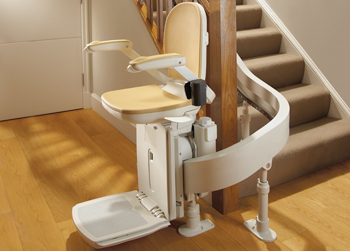 The Curved Stairlift comes with all the comfort and safety features that you’d expect. 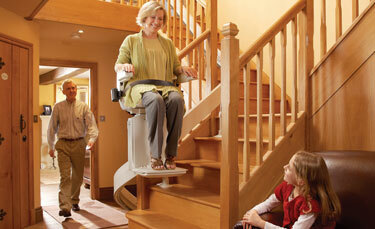 And due to the stairlift’s unique modular curved rail system, it can be install in a matter of days rather than weeks. 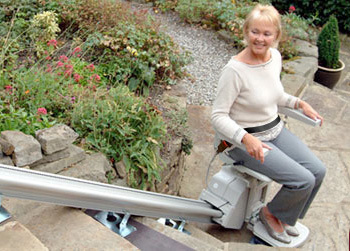 For users who require a stairlift outside their home, this type of stairlift can provide a fully weather-proofed practical solution ideal for outdoor use. 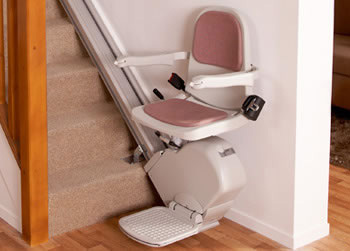 With all of the same features and options as a Straight Stairlift, the Outdoor stairlift comes supplied with a durable waterproof cover for extra protection.